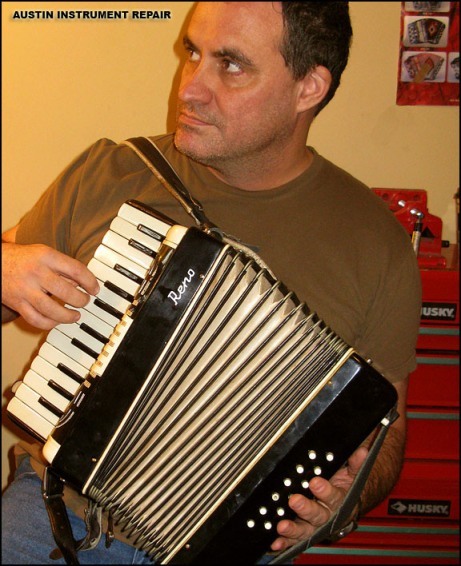 Expert Repair, Restoration, and Setups for all guitars, basses, banjos, and accordions. Quick turnaround. 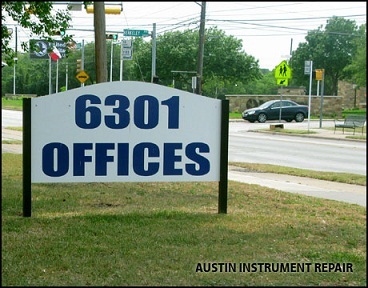 Commercial south Austin location. Professional setups, refretting, fret leveling, neck break repairs, neck adjustments, neck resets, structural repairs, scratch repairs, and finish repairs. 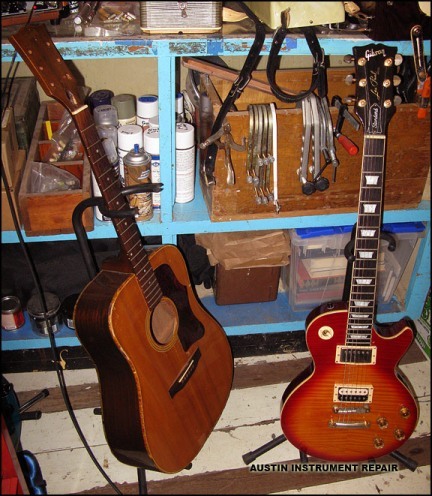 Service for acoustic and electric instruments. Insurance cases welcome. 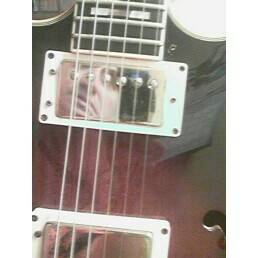 Also installations and rewiring of pickups, humbuckers, switches, capacitors, and other electronic parts. 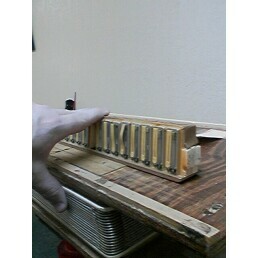 Cavity shielding, hum reduction, and electronics diagnoses. Highest-quality parts and materials used. 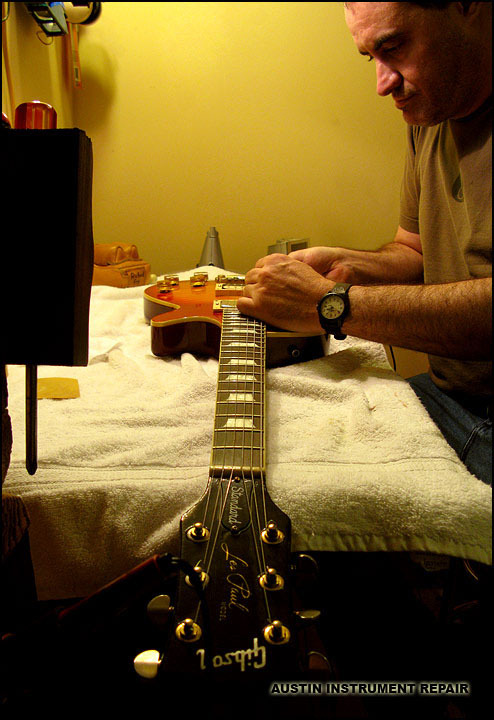 Expert advice on vintage guitar restoration. Experience with all brands of guitar. Top-quality service in south Austin. 25solos.com : A Customer of mine, Jeff, has set up a guitar-related web site called 25solos.com. See his mention of me at "Practice: Day #1"